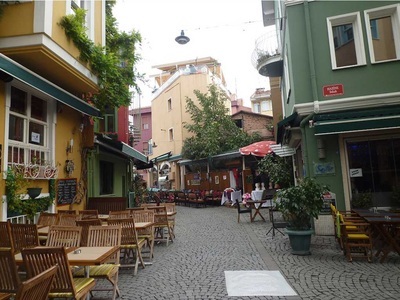 Ortakoy was a little pretty town before; but today it’s a modern neighbourhood of Istanbul, which is one of the main place surrogated the many restaurants, bars, cafes and galleries. 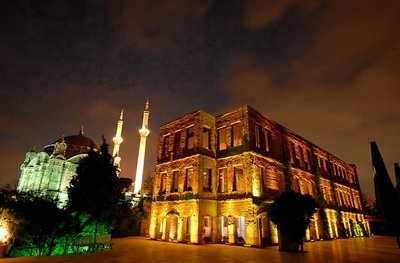 For example of that, maybe the best emphasized of these is Hüsrev Kethüda Hamam reflecting a 16th century Hamam built by the hero Ottoman architect Mimar Sinan, which has been turned into a restaurant, bar and cultural centre at present. 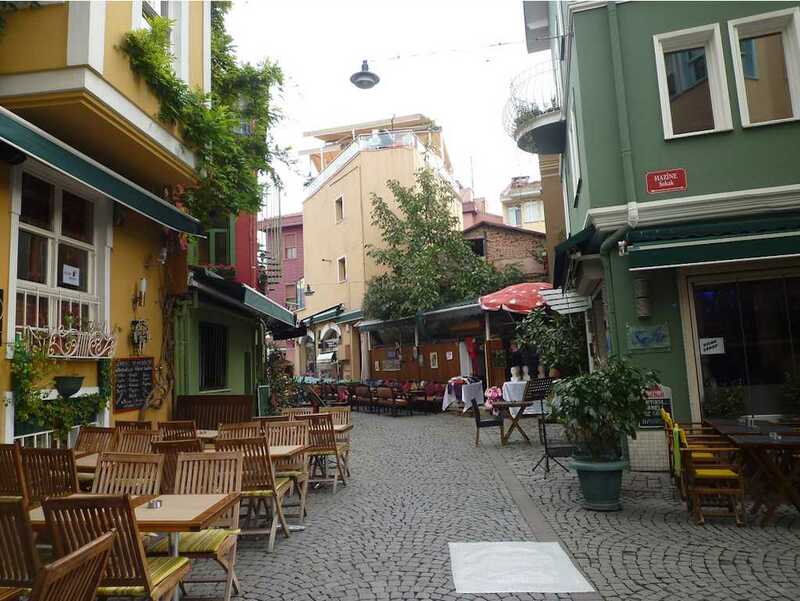 Another feature of Ortaköy; at the Ottoman period there were located many mansions and summerhouses belonging to the Sultans and Pashas along the seaside. Especially after Suleiman the Magnificent began to live here, the number of Turks increased in that district. Also built by genius architect Sinan in that period, ‘’Ortaköy Turkish Bath’’ is one of the most famous structures of him. 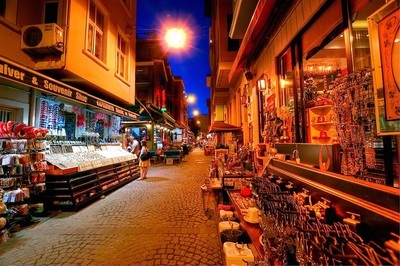 Furthermore, it attracts the people with its glory surrogated by important fascinating constructions such as Kabatas Erkek (son) Highschool, Galatasaray University, Cıragan Mansion and Yıldız Mansion and Bosphorus. Each Sunday, an extensive open air arts and craft market found here. Many people from different places visit to buy and sell trinkets, souvenirs, jewellery, books, antiques and etc. 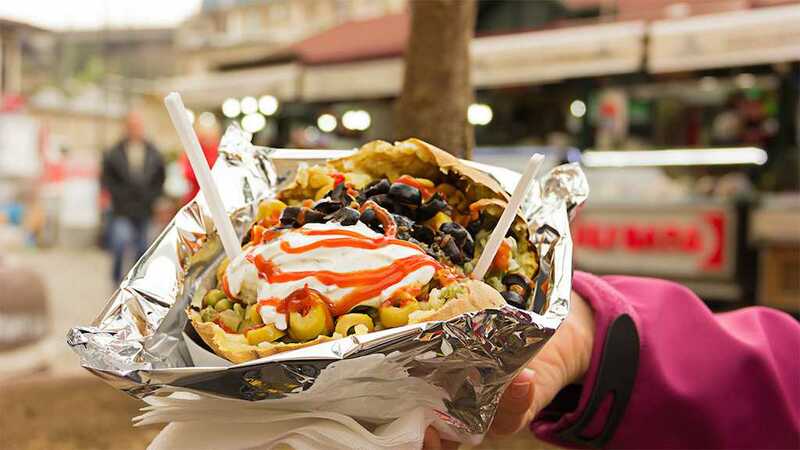 Additionally, except for that, you should taste one of Ortakoy’s famous and delicious Kumpir (baked potato) or Gozleme (Turkish pancake) by walking Ortakoy Square (Iskele Meydanı). Today, Ortaköy is a living center with its lux, authentic hotels, fascinating palaces, famous entertainment clubs and restaurants in bosphorus shore. Also the little souvenir and jewellery shops provide the people thousands models reflecting the culture of Ottoman and Turks. 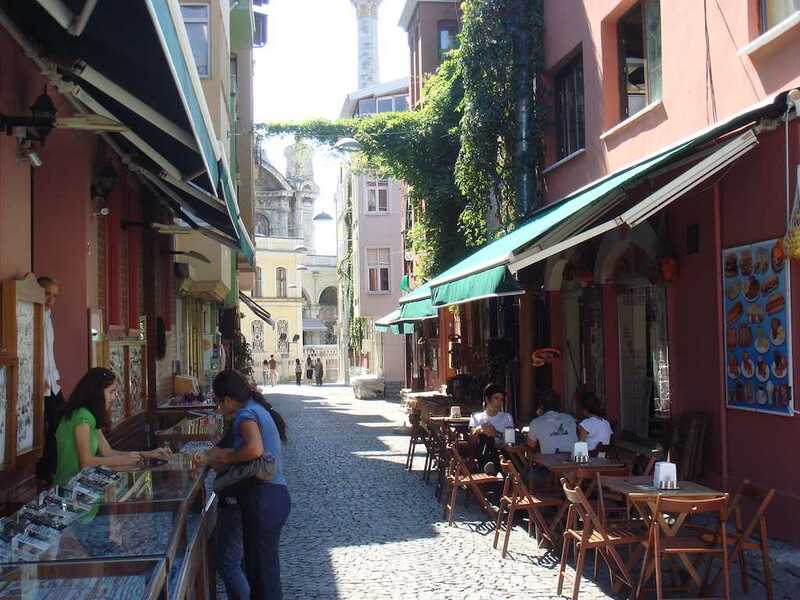 You feel the mixture atmosphere of ancient and modern time by the magnificent Bosphorus in Ortakoy. The mosque was built by Sultan Abdulmecid I with Neo-Baroc Style in 1853. Located in most beautiful place of Bosphrous, that mosque attracts the people when they make a bosphrous tour. As soon as taking a step into the mosque, it is seen that it is full of lights reflected by the huge and high windows. Rebuilt in 2014, the mosque is open to the visitors. One of the most magnificent structures of Bosphrous ,Esma Sultan Mansion is used as a socialite wedding ceremony and organizations,important meeting saloon and classic music concerts because of its aesthetic beauty and the lightened system now. Actually its name came from a story about Esma Sultan; according to some people, there are two same named sultan ''Esma Sultan'' . While one sultan was the dauhter of Sultan Abdulhamit I, the other was the daughter of Cherkes Mehmet Pasha. But it was not really known that it was built which sultana. According to the story, Esma Sultana furnished that mansion with her colorful lifestyle. Located in Ortakoy, near the European leg of the Bosphorus Bridge, Synagogue was demolished after the fire in 1941. But it was rebuilt and opened to the prayers. 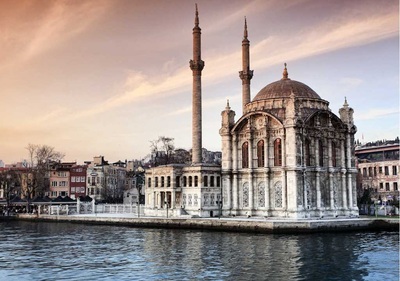 Todays that famous synagogue is accepted as one of the most mysterious structures in Ortaköy because it has a different atmosphere rather than the others. That church which was the second structure belonging to the Armenians here was built in 1839 at request of Ottoman Sultan Mahmut II because the population of Armeniana increased. Once upon a time, men and women were seperated in church resembling Rome basillica style but in 1850 this norm was abolished.